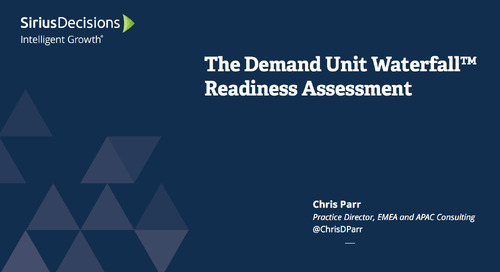 With content in b-to-b organizations created and changing at breakneck speed, content owners struggle to keep up with the complexities of digital content maintenance. When documents require updates but updates aren’t applied consistently, it’s more than a minor embarrassment. 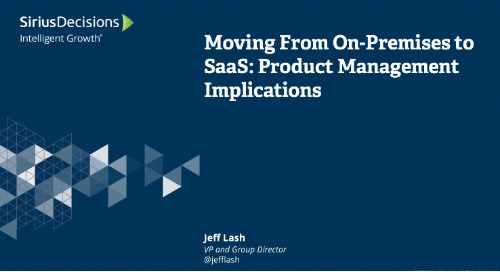 Content errors hurt a company’s reputation and place stakeholder trust at risk. 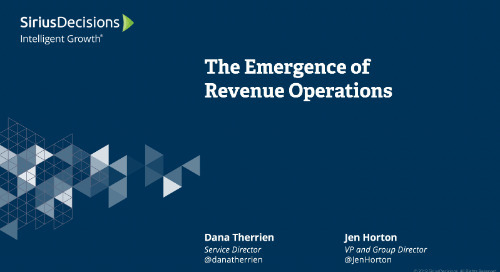 Organizations must address the deadly sins of inconsistency, inaccuracy and brand offenses. 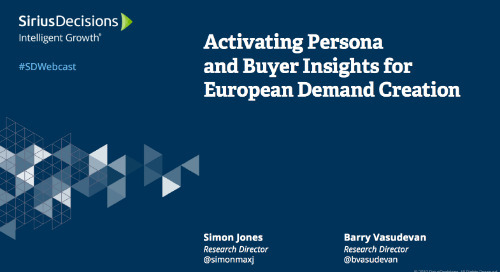 Watch this replay to learn a fun and innovative approach to persona-based skills development. 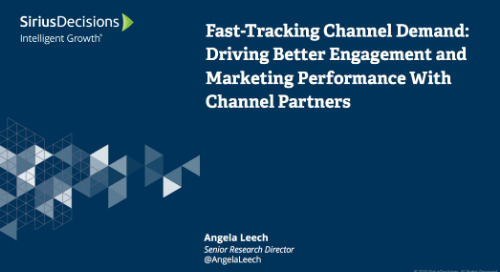 Discover best practices for maximising channel marketing investments that make an impact and drive contribution to pipeline and revenue results. 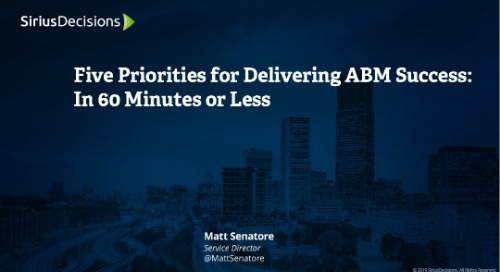 Whether you prefer plain cheese, spice it up with pepperoni or want to go wild with pineapple, we’re serving up all the toppings for a best-in-class ABM program. 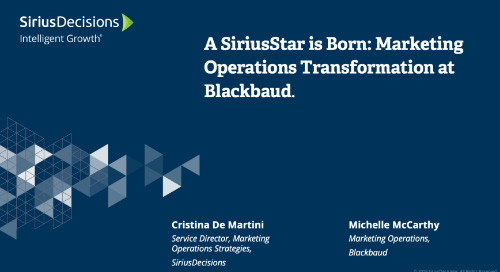 In this replay, SiriusDecisions’ own Cristina De Martini, Service Director of Marketing Operations Strategies, speaks with SiriusStar Michelle McCarthy, Director of Marketing Operations at Blackbaud. 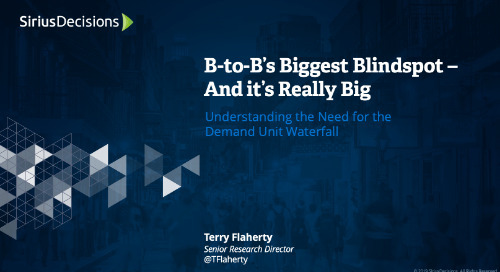 In this replay, we will look at why all organizations should be considering implementing the Demand Unit Waterfall and how to operationalize it. 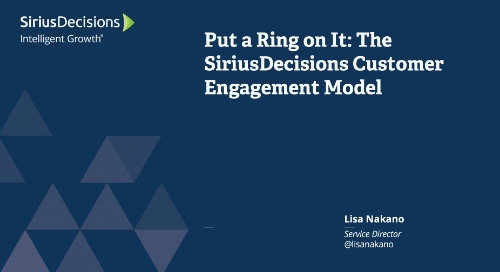 In this replay, we share the SiriusDecisions Customer Engagement Model, a best practice approach to measure the quality of customer relationships using standard business measures. 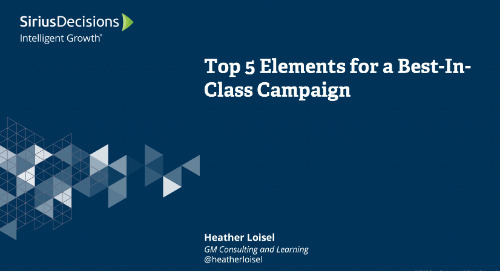 In this replay, Heather Loisel, General Manager of Consulting & Learning at SiriusDecisions, present the elements of a best-in-class campaign framework for planning and implementation. 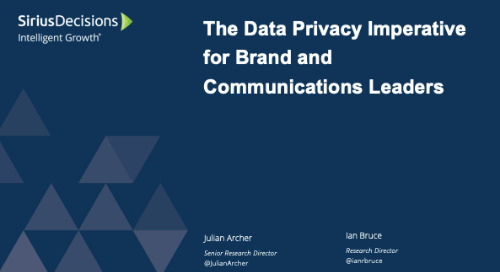 Data privacy has become a global imperative and can have a direct, material and long-term impact on an organization’s brand. 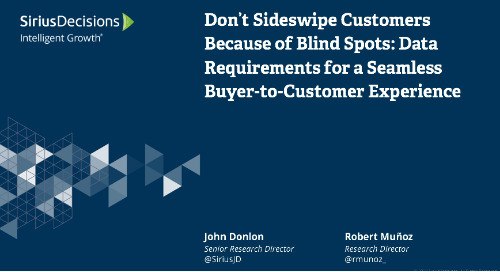 B-to-b organizations spend a great deal of energy tracking, understanding and managing the buyer’s journey with the expectation that the buyer-centric approach will lead to a sale. 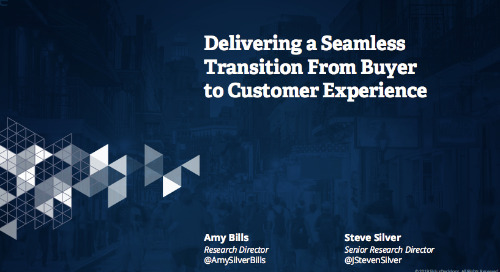 Once considered two separate paths, the buyer’s journey and the customer lifecycle are now inextricably linked, and customers expect a unified experience across both. 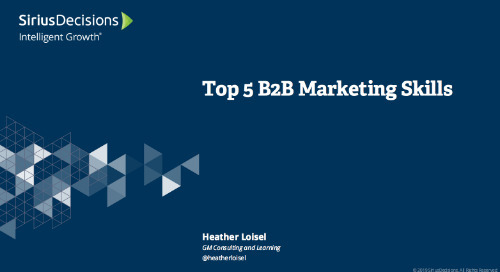 Watch this replay to find out the top 5 b-to-b marketing skills and competencies needed for success in 2019. 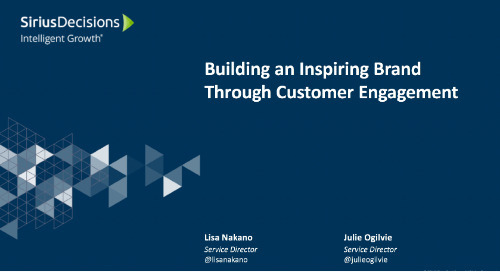 In this replay, you will gain a deeper understanding of the attributes of great b-to-b brands and how they strengthen customer engagement. 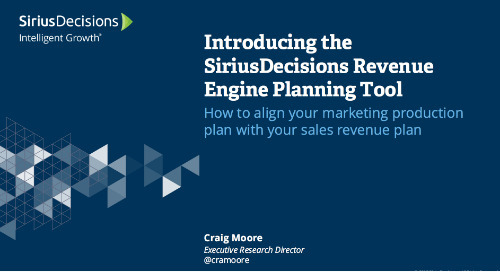 In this webcast replay we explore how buyer insights inform the design and activation of demand programs and how to align the sales process to the buying decision process. 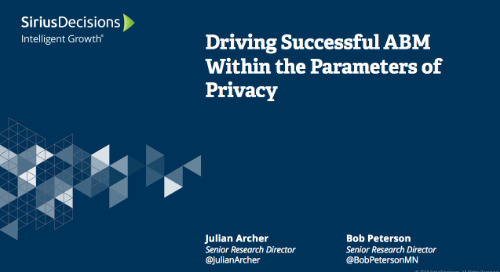 In this webcast replay, we will help you understand the current regulatory landscape impacting GDPR adherence and how it impacts account-based marketing. 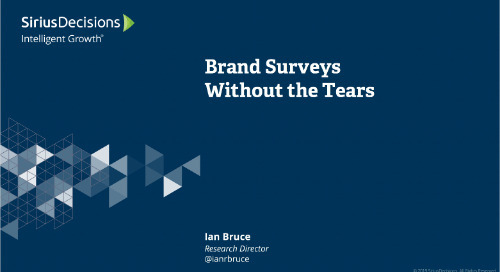 In this replay, you will learn a practical approach to conducting a successful brand survey that delivers reliable, accurate and actionable insights for your organization. 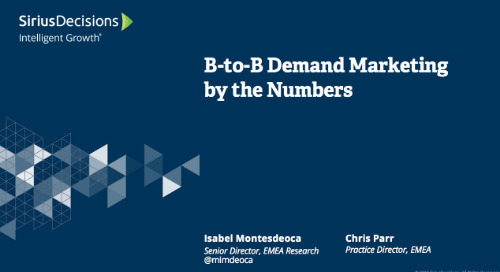 In this webcast replay we discuss and dispel some of the popular "Myths" of B2B Demand Marketing. 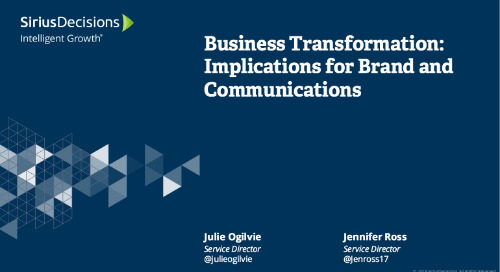 SiriusDecisions’ 2018 B-to-B Leadership Study reveals poor communication is the number one reason why many strategic initiatives fail to meet expectations. 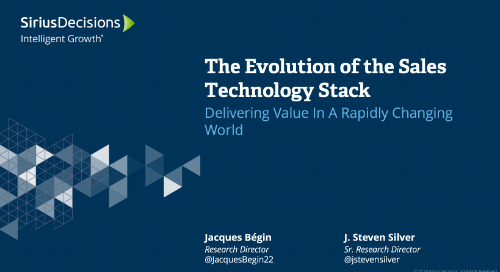 B-to-b organizations are under pressure to increase sales productivity and leveraging technology is a key component of that strategy.